These tactics will get engagement and gain the ultimate traction from your content. Running a business is hard. Undoubtedly, your hands are already full with the day-to-day realities of your industry. You know that social media marketing is essential in today’s marketplace, but here’s the rub – doing it effectively is a full-time job. When you focus your energy on the one social media platform tailor-made for business, you will maximize your reach. Your target audience is already waiting for you on LinkedIn. In mid-2017, LinkedIn boasted a half-billion professional members. Some 61-million senior level influencers and 40-million decision makers are LinkedIn regulars, making LinkedIn the place where your company needs to be seen. Promoting your offering – whether it’s an article, video, infographic, or value proposition – is key. The trick is to get the content in front of as many eyeballs as possible, where it will have the most impact. Sound easy? Actually, it is. Here’s how you can leverage your LinkedIn presence to get the most traction from your latest offering. Your LinkedIn profile is the first point of contact where potential customers get to “meet” you and existing clients get your latest updates. Your banner is one of the most visible elements on your profile page. Use this as the valuable advertising space it is and incorporate your offering into your profile. Your personal branding and the character of your business should be reflected in your banner image. Banner graphics are a remarkably effective means of sharing valuable information in a non-salesy way. Separate from your headshot photo, the background image should have a similar look and feel as your website. This is where you can use the available real estate to share your unique value proposition, your mission statement, or your latest offering in an immediately visible format. The profile summary description is another section where you can showcase your latest and greatest. LinkedIn gives you 2,000 characters for the content in your summary description. You can share a link to your offering without sacrificing valuable words needed for your summary. Just remember that if you want the content link to appear before the “show more” dropdown, it must be incorporated in the first 200 characters. Don’t discount the power of images. Uploading as media can give your offering a “face.” People are hot-wired to respond to visual clues, which makes sharing content via an image a potent marketing trick. If your image can incorporate a human face, so much the better. Marketing psychology confirms that people are attracted to images of human faces more than any other subject matter. Think like a newspaperman. Share the “Big News” – the announcement of your offering – as a Status Update. Extra points for an appropriate image or graphic. Sharing a URL linking to your content or an image should take the form of an “update.” Any time you have something short and punchy to say, use the “update” option. And it will attract more attention if you share an image or a link. Always use the “write an article” alternative when sharing longer content. One caveat – while images are essential, long-form content with multimedia doesn’t perform as well as articles without multimedia. One little-known fact is that updates shared on a Thursday perform better than those shared on any other day of the week. Having said that, for top visibility, you should be sharing several times a week and at different times of the day. Groups are a potent way to generate leads on LinkedIn. But this strategy has to be executed with subtlety and finesse. There’s no place for overt advertising. Groups allow you to engage with the community and build credibility for your brand. Additionally, groups connect you and your network to a vast pool of businesses and professionals in your industry. One natural offshoot of sharing relevant content with your Group is driving more traffic to your website. You can expect higher engagement from individuals who are in the same field of business and share the same pain points. This is a channel for sharing your valuable content with an audience who would benefit most. Every person in your LinkedIn Group is a valuable potential lead. By linking your offering in a group update, you can gain valuable feedback, boost engagement, and generate useful discussions. Use LinkedIn messaging to build connections with your target audience. But out of all your network of contacts, who are the people most likely to be potential customers? Get a picture of your typical prospective customer; identify your target audience by creating a buyer persona and grow your brand with personal engagement. 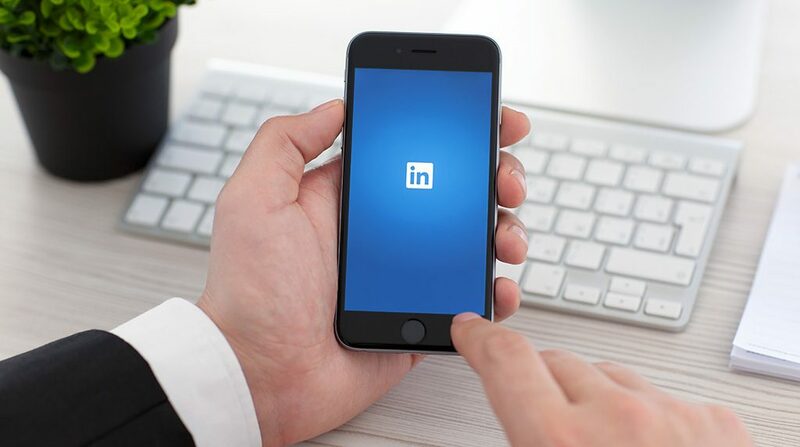 When you have a clear picture of your ideal client, you can form connections with them through LinkedIn private messaging. Having used personal messaging to build a relationship, you can then get your offering front-and-center on their radar by using a CTA link that will drive the receiver to your offering. One word of caution: You should always be careful not to spam your connections. Ironically, most people fail at this seemingly easy practice. These are not marketing secrets only available to a chosen few. Most business people recognize the value of social media for online success. It’s not about your number of followers or the size of your network – they’re only resources. If you can’t tap into this stream of potential clients, then clearly, your social media strategy isn’t working. A healthy social media presence means new subscribers, new business, great engagement, and valuable conversations. If you are not making money, something is wrong. If your LinkedIn strategy isn’t delivering results, you are not doing it right. Don’t shout at your audience. Too often, businesses forget that social media is all about conversations and engagement. Concentrating on pushing sales and conversions is a sure way to get your audience to tune you out. Attaining an understanding of your audience gives you insights into the kind of content that will be read and shared. It is a waste of resources to produce an offering that doesn’t trigger a reaction with the people you most need to reach. Don’t discount the tremendous value of feedback. Take the time to really listen when your audience shares their thoughts on content you’ve produced. If you take the time to listen to your viewers, you will gain an understanding of what they want to see. Many business people learn how to use LinkedIn effectively, build their brand, and develop new client relationships. But learning how to use LinkedIn in your general marketing and business development is a useless exercise if you don’t put that learning into action. Creating a social media strategy based on posting an update when a new product or service is on sale is not sharing valuable information. It’s when businesses engage and interact with their target audiences that their social media strategies can be counted a success. A LinkedIn platform is a content marketing and lead generation dynamo. There’s a reason that it is the most popular site for business professionals. Done properly, there is no real limit to the number of business leads you can develop. LinkedIn is the place where professionals go to connect. But at the same time, it’s an impressive search engine intended to drive qualified traffic to your website or profile. What sets NuSvara apart is that we recognize the value in the practices. We bring clarity and understanding to the process of leveraging LinkedIn for yourself and your brand. We take the actions for you via our LinkGen campaign and turn your profiles into sales funnels. NuSvara is a leader in developing and implementing effective digital marketing solutions. We have mastered the art of building high-quality, targeted connections on the #1 business-focused network with LinkGen. Partner with people who know the value LinkedIn can bring to your marketing efforts and see how quickly the right approach will impact your bottom line.